The Octane Super Lite by Jayco is the toy hauler travel trailer that is anything but standard. Inside of each Octane Super Lite you will find supercharged amenities! These Octane toy haulers are one of the industry's lightest, but you wouldn't know it from the amped-up amenities that come as standard features. 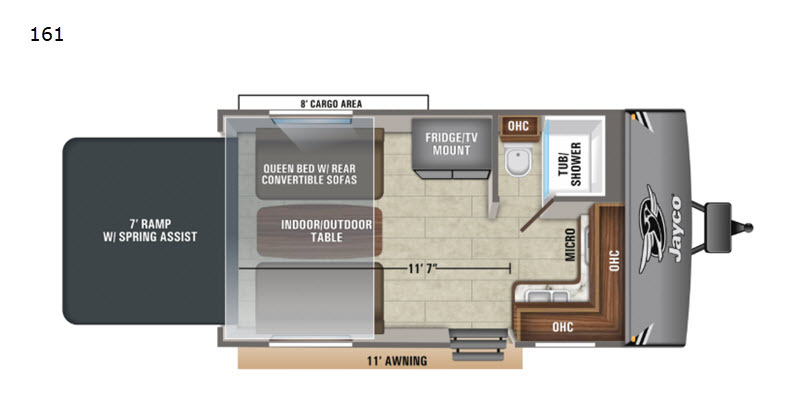 Throughout the interior, you will find Chocolate Maple wood cabinetry, vinyl flooring, and stainless steel appliances. 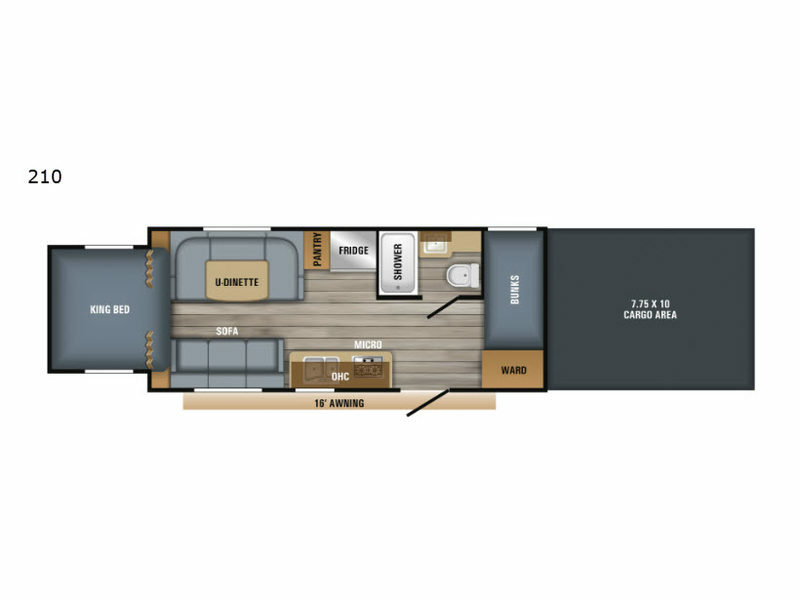 With a range of versatile floorplans and an 8' wide ramp door opening for easy access into the garage area, this truly is an amazing lightweight, load-carrying marvel. Let your adventures come first with a road trip done your way in one of these Jayco Octane Super Lite toy haulers! Keyed Alike Lockable Baggage Doors, Insulated and Radius-Cornered – One Key for All Doors!